Maybe our president, congressmen and women, state and local “leaders” need to watch this video to remind them what the government should be doing and more importantly should NOT be doing. Remember these as a kid? I certainly do and maybe they should re-run these. 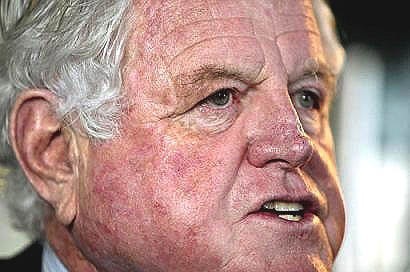 Obama comes into office and Ted Kennedy sees his Government Run Health Care dream finally possible. 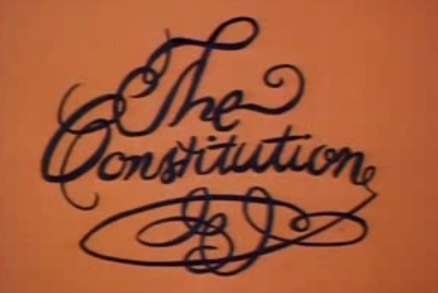 Al Franken, embarrassingly, gets sworn in the Senate to give it a super majority. So they begin, with a tingling feeling in their loins, to put together all the goodies that they call Health Care Reform. Reform that has no hope of reforming Health Care, there is nothing about insurance crossing state lines, about tort reform, etc. It was just a way for these stinkers to try and take more control of our lives. And with the help of their little minions Nancy Pelosi and Harry Reid they pushed it though, made back room deals, defied decency and possibly the Constitution to get the bill passed through both houses. Then Ted Kennedy dies on August 25, 2009 and leaves his Senate seat open, luckily Massachusetts is corrupt enough and they bent a few rules to get a temporary Senator in there to help with the forcing of the Health Care Reform bill. As public pressure mounts, Tea Party demonstrations increase, polls plummet, constituents overwhelming calls to congress, these nasty little people pushed forward anyway ignoring the will of the people they work for. They thumbed their noses at us and gave us the finger. After all what do we know? We are just the public, the little people. It looked like Health Care was going to be a gigantic change in our American way, with a very few ruling almost every part of the majorities lives. From cradle to grave. But then the most unlikely thing happens, Scott Brown comes out of nowhere to challenge Martha Coakley for the Senate seat that Ted Kennedy held for decades. They believe this seat is sewn up and therefor they do very little to secure the seat, while Scott Brown quietly overtakes poll after poll. His platform was that of he will be the 41st vote against Health Care Reform, in short he will stop is cold in it’s tracks. Once the Democrats, or in this case Liberals, know what is going on it is too late. The people of Massachusetts finally give Washington DC the finger by electing Scott Brown and sending the message that they do not want government Health Care. Looking back at the chain of events in retrospect and I have to believe there was something or someone at work that is beyond our grasp. This Health Care bill was a runaway train with little to stop it, short of a revolt on the city of DC (which may still have to be done in the future), the people spoke, wrote, emailed, yelled at their representatives and senators and still they were pushing forward. Then out of left field comes this diversion, I think that god just might not like what he sees happening in the USA and threw a wrench into the plans of those that want to be the ruling elite. Now I am not a holy roller but how else can you explain this? Sure anything can be proven or justified, but these events falling in this order is unlikely, to say the least. Therefore I believe we might have just witnesses Divine Intervention, after all for the majority of us the quote “In God We Trust” still is the basis for our beliefs, morals, and ideals and god does not leave behind those that believe in him. Folks, we think it might be time to support a new system of taxation in this country. The FairTax is one of the options. Try the FairTax Calculator here. GOOOH stands for ‘Get Out of Our House’ and is pronounced like the word ‘go’. It is a NON-PARTISAN plan to evict the 435 career politicians in the U.S. House of Representatives and replace them with everyday Americans just like you. GOOOH is NOT just another political party. It is a system that will allow you and your neighbors to choose, among yourselves, the person who can best represent your district. The videos of the Wait Chapel at Wake Forest University Town Hall are now available. Click here to watch those videos. We are at war with an out of touch government that is completely unresponsive to the people. A government that now ignores the Constitution and defies the very independence and Liberties secured for us by our founding fathers. We are at war with taxation and out of control spending. Help us win this war. Learn how you can be an effective voice for your county and state by attending this event! Well folks now we must focus on the happy spenders in our state and local governments. They are at it again, tax and spend liberals that are out of control and actually affect us more than the federal government. These little stinkers need to be removed so they are forced to go out and get real jobs where they can experience their own laws in action. They have already started taxing services, see here and now they want to do more of the same. Let’s start voting these people out of their office and replace them with Tea Party minded folks who will cut services to the bare minimum, lower our tax rates, and remove themselves from office after 1 or 2 terms at the most. Where do you think our congress men and women cut their teeth? All their habits and corruption are formed locally and then they just move right on up the chain. 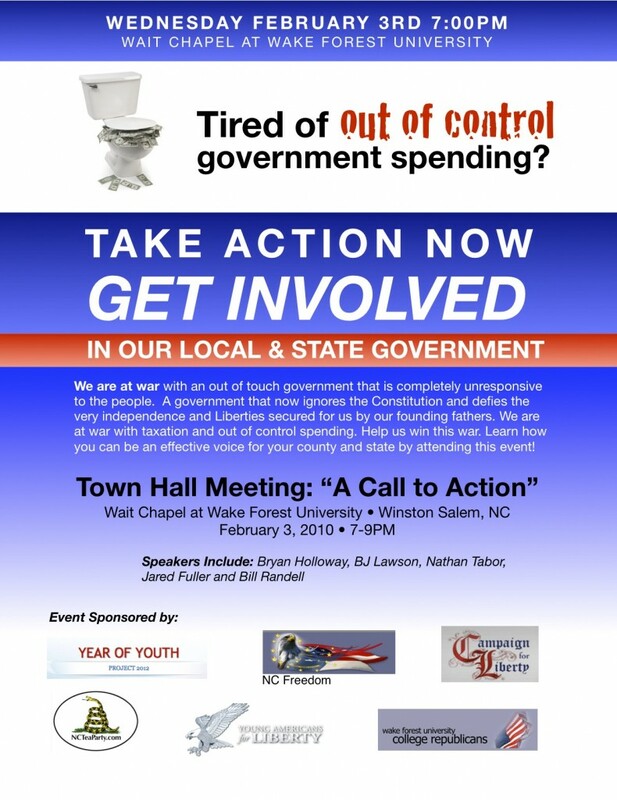 The Tea Party is going to focus our efforts on local and state elections so as to inform the folks of North Carolina what is happening in our backyard and maybe through intense pressure we can oust these losers and take back our state while keeping more of OUR money in the process. RALEIGH — As revenue from the state and local sales taxes dwindles in a down economy, expanding the levy to cover services is getting increased scrutiny as a way to generate millions of dollars in new revenue. Members of a joint Senate-House Tax Reform Committee established by the General Assembly are being given glimpses of just how much the state could bring in by taxing everything from carpet clean- ing to haircuts to athletic events to legal services and much more. For example, placing a sales tax on dances, dog shows, movies and sporting events — some of which are already subject to a smaller privilege tax — could bring in an estimated $85 million to state and local coffers. Bringing landscaping, exterminating, carpet cleaning and security services under the levy would raise nearly $254 million. Pet grooming, horse training, hair-cutting and the like would add nearly $36 million, while a tax on service contracts and warranties, installations and repairs could generate $406 million. The largest windfall, however, could come from a sales tax on professional services — doctors and dentists, $700 million; lawyers, $359 million; accountants, $173 million; computer services, $327 million. The numbers were extrapolated from 2002 U.S. Census data, consumption figures from the Bureau of Economic Administration and other sources. The extracted revenue projections are based on a state sales tax rate of 4.75 percent (not counting a recent temporary 1 percent hike) and a local sales tax rate of 2 percent. “The numbers are solid,” said General Assembly fiscal researcher Sandra Johnson, who performed the analysis. “We just wanted to provide the committee with a bird’s eye view of the subject.” It will be up to the reform panel, made up of members of the House and Senate finance committees, to decide what to do with the data. In addition to studying sales taxes, the group is looking at the way North Carolina taxes personal income and corporate income. The panel’s recommendations for changing the state’s tax laws aren’t expected before May, when the full General Assembly convenes on Jones Street. “We are looking at the details in a way no legislators have before,” said Durham Rep. Paul Luebke, who is a senior chairman of the House Finance Committee. “Another important factor for this committee is that, anything we do, we want to make as bi-partisan as possible.” Sales taxes now generate 28 percent of the state’s revenue. In 1970, the figure was 31 percent. North Carolina imposed its first sales tax back in 1933, but over the decades the state has seen the sales tax base shrink because of changes in what people are buying, tax exemptions — now running into the hundreds of millions of dollars — and cross-border and online shopping. Remedies being studied include raising rates, cutting exemptions or looking for ways to expand the base. Hence, the re-newed focus on services, which generally have not come under the sales tax levy. Research by the Federation of Tax Administrators in 2009 found that five of the 45 states that levy a sales tax impose the tax on fewer than 20 services. Article from Lee WeisBecker who writes for the Triangle Business Journal. US President Barack Obama has warned Democrats not to “jam” healthcare reforms through the Senate after a Republican won a seat in Massachusetts. Mr Brown will be Massachusetts’ first Republican senator since 1972. His victory means the Republicans now have enough votes in the Senate to block the Democrats’ healthcare plans. Earlier, the president’s senior adviser, David Axelrod, said he would take the defeat into account, but would stick to his agenda. “We’ll have to think through this next year from the standpoint of tactics but in substance the mission can’t change,” he said. The BBC’s Paul Adams, in Boston, says it is a humiliating defeat for the Democrats, and a deeply unwelcome anniversary present for President Obama exactly one year after his inauguration. Our correspondent adds that it is one of the biggest political upsets in years – in a seat held for almost half a century by Edward Kennedy, a Democratic Party colossus, who died last year. Senate Democrats were expected to meet at midday local time (1700 GMT) to decide what to do about healthcare legislation. Meanwhile their leader in the House of Representatives, Steny Hoyer, said party leaders were trying to determine which parts of the bill could still be passed in the Senate, Reuters news agency said. He added that another key piece of legislation, the cap-and-trade bill, was not dead, but parts aimed at increasing energy independence were more likely to pass than those aimed at reducing carbon emissions. Senator-elect Brown told journalists his victory sent the message that “people are tired of business as usual in Washington politics”, and vowed to get to work as soon as possible. He said he would go to Washington on Thursday with the hope of taking up his seat. “The campaign is over now, and we have to focus on solving problems,” he said. Earlier Mr Brown, 50, told NBC’s Today show he did not think the vote was a referendum on President Obama’s first year in power. He said voters had “enjoyed the message” he pushed while campaigning, including his criticism of Mr Obama’s healthcare plans. “I just focused on what I did, which is to talk about the issues – terror, taxes and the healthcare plan,” he told NBC. “We already have 98% of our people insured here already in Massachusetts, so we do not need the plan that’s being pushed upon us,” he added. But he denied he was intent on derailing the reforms. “I never said I was going to do everything I can to stop healthcare,” he said. Mr Obama said he wanted to make clear that any plans by Democrats for a Senate vote on the reform plan before Mr Scott took up his seat were “off the table”. “The people of Massachusetts spoke. He has got to be part of that process,” he added. 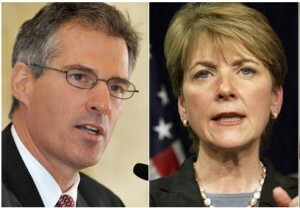 The Republican beat Democratic rival and Massachusetts attorney general Martha Coakley by 52% to 47%. WHAT NEXT FOR OBAMA AGENDA? Dubbed Senator Beefcake in the US media, Mr Brown is a lawyer and former model who posed almost naked for Cosmopolitan magazine in the 1980s while in law school. The Republican former governor of Massachusetts, Mitt Romney, told Fox News the vote was a referendum on President Obama, and a verdict on “an arrogant approach to politics in this country”. The party’s chairman, Michael Steele, said Americans were breathing a “sigh of relief” over healthcare. “People across the country are saying: ‘Slow it down,'” he said, quoted by the Associated Press. 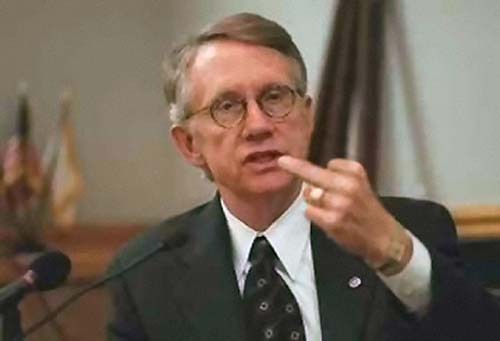 The Republican win has robbed the Democrats of their filibuster-proof 60-seat majority in the Senate. After conceding the election in a telephone call to Mr Brown, Ms Coakley told her supporters she was “heartbroken at the result”. Sen Robert Menendez, head of the Senate Democrats’ campaign committee, said he had “no interest in sugar-coating” the result. President Obama had campaigned personally on behalf of Ms Coakley. Analysts say the race should have been an easy win for her. Just weeks ago, she had a double-digit lead in polls and seemed destined to win. But a lacklustre campaign allowed her Republican opponent to seize on voter discontent and overtake her in the final stretch. Correspondents say the vote does not bode well for the Democrats ahead of November’s congressional elections, and that if they cannot hang on to a party stronghold such as Massachusetts they could be vulnerable almost anywhere. The result comes amid opinion polls showing nearly half of Americans think President Obama is not delivering on his major campaign promises. It was the third major loss for Democrats in state-wide elections since he became president: Republicans won governors’ seats in Virginia and New Jersey in November. Congrats to all of you! This is a victory for everyone who attended a Tea Party, who marched on DC, who worked on a campaign, who supported their candidate financially, who called their representatives speaking out against Cap and Trade and so-called Health Care Reform. This one is for YOU! Soon the shock waves of the Scott Brown victory will dissipate in Massachusetts, Washington DC and the rest of the country. But some very valuable lessons were learned over the past few weeks and we must take note. Grassroots movements can have a real impact. Tea Party members came together to make a difference in this election. Several of you emailed that you contributed to Scott Brown’s campaign. Others told me they volunteered to make phone calls to registered voters in Massachusetts. A few of you even told me you were considering driving up to MA to canvass neighborhoods and drive voters to the polls. This is the level of commitment that is required to win elections and transform our government. We have a very important election coming up in 2010. We have to apply this model in every state and every community- including our own- in the upcoming election cycle. We need quality candidates from our ranks- and not just for national offices. Local and state governments matter because ALL politics is local. Consider running. If you cannot run, find a qualified candidate and support them financially and by volunteering. WASHINGTON – A stinging loss Tuesday in Massachusetts has cost President Barack Obama and the Democrats the 60-vote Senate majority they’ve relied on to push a historic health care overhaul to the verge of enactment. Now what? It’s miles of bad road in any direction. Democrats splintered on how to salvage the president’s top domestic initiative even before the results were official. Republicans said don’t bother: The election of state senator Scott Brown sent a message that the health care bill should be scrapped. Obama and party leaders anxiously worked through fallback options — none good. After a year of improbable twists and turns, the unthinkable happened Tuesday. Democrats lost Edward M. Kennedy’s seat to a Republican upstart, and with it faced the prospect of not being able to pass the legislation that was Kennedy’s dream. Democrats don’t appear to have enough time to resolve differences between the House and Senate bills — and get cost and coverage estimates back from the Congressional Budget Office — before Brown is sworn in. That leaves House Democrats with the unpalatable option of passing a Senate bill that many of them profoundly disagree with. “How do we do it with 59?” lamented liberal Rep. Anthony Weiner, D-N.Y. Independents turned against the sweeping health care legislation and the Democratic base lost its enthusiasm, Weiner continued. Democratic lawmakers must show they got the message by regrouping, considering a time-out on health care and perhaps passing a more modest bill, he argued. Others said they feel the need to act even more urgently. The defeat of Massachusetts Attorney General Martha Coakley leaves Obama and Democratic leaders facing a series of wrenching decisions fraught with escalating political risk. Significant disputes between the House and Senate would have to be settled by presidential fiat, and Democratic lawmakers would have to move in virtual lockstep to enact the bill, even as Republican opposition intensifies. That could be too much to ask from rank-and-file Democrats demoralized by losing a seat held in an almost unbroken line by a Kennedy since 1953. Efforts to woo a Republican convert could increase. But with polls showing voters souring on health care overhaul the president could be abandoned by lawmakers of his own party. The cleanest option calls for the House to quickly pass the Senate bill and send it to Obama for his signature. But that ignores at least two significant problems. Labor unions are adamantly opposed to an insurance tax in the Senate bill, and they successfully negotiated with Obama last week to weaken it in key respects. Second, a core group of anti-abortion Democrats says the Senate bill’s provisions on restricting taxpayer funding for abortion are too weak. “The Senate bill clearly is better than nothing,” said House Majority Leader Steny Hoyer, D-Md. He refused to speculate on whether House Democrats could be cajoled into voting for it without changes. Before Tuesday’s election results were in, rank-and-file Democrats were sending mixed signals on whether the House should try to pass the Senate bill, but only a handful rejected the idea outright. “I think it’s important for us to pass legislation. I haven’t completely analyzed it myself, but if that’s the only option in town, then maybe that’s what we ought to do,” said Rep. Baron Hill, D-Ind., who represents a swing state district. But Rep. Bart Stupak, D-Mich., sponsor of a House-passed provision restricting taxpayer funding for abortion, said he could not back the Senate bill. House objections have led to a second fallback option: getting the Senate to accept changes to its bill as a condition for House passage. It involves a complicated legislative choreography that could take several weeks to play out. Without 60 votes needed to overcome Republican delaying tactics, that strategy would require Senate Democratic leaders to use a special budget-related procedure to pass the changes with only 51 votes. It’s guaranteed to enrage Republicans, and it’s not clear that Senate Democratic leaders have political support to pull it off. To complicate matters, additional legislation may be required to resolve disputes about abortion funding and illegal immigrants. In the meantime, the drumbeat from opponents of the legislation could be deafening. Even more uncertain are the chances for persuading Maine Republican Sen. Olympia Snowe to come along, since she opposed the Senate version. Snowe, who supported a version of the Senate bill in committee, remains an intriguing figure in the endgame. 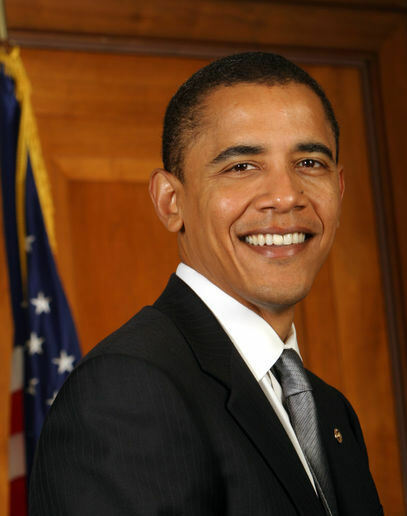 Obama called Snowe on Friday to discuss health care. They have spoken regularly and Gibbs said Obama continues trying to win her over. 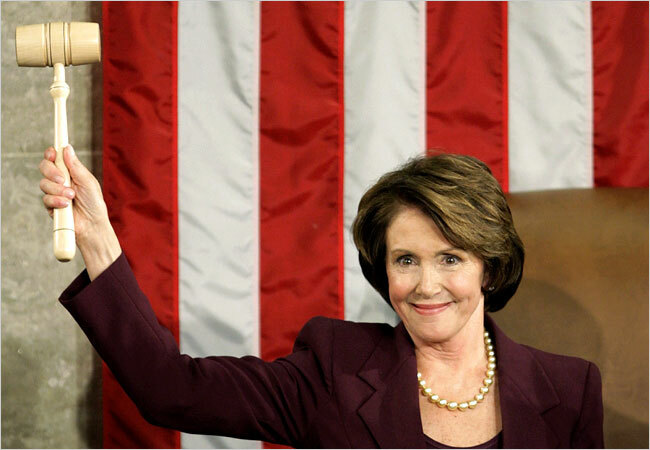 Democratic congressional leaders put on a show of resolve. In 1994, Democrats failed to act on President Bill Clinton’s health care package and lost control of Congress. 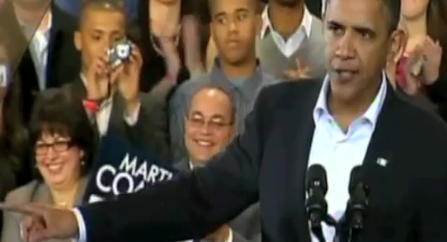 Obama goes out of his way to stump for Coakley and gets heckled. Do you think this President gets the message? All the polls show Americans don’t like this bill. They don’t like the bribes or the back-room deals. From thr 9-12 Project: This reminded me of Joe Wilson, except the cameras largely ignored the presumably pro-liberty protesters and we haven’t heard from them since, AFAIK. Either way, it’s interesting how desperate Scott Brown’s opponent has become, and this is the best quality video clip of this incident. I must admit, this brought a smile to my face…I wonder if the protester(s) were 9.12’ers?